Each of these categories, in their turn, is presented with plugins of different scale. 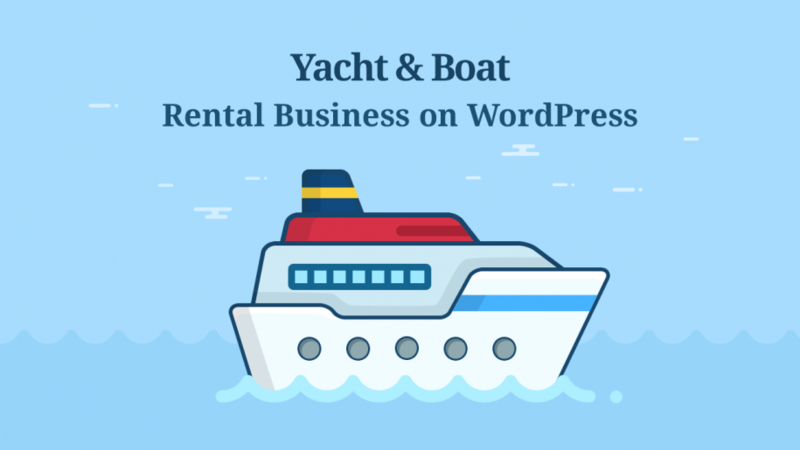 For example, some WordPress booking calendars offer multi-location support for appointment booking, integration with third-party services, staff member assignment, while others are limited to the bare minimum. I’d recommend you to come up with your own checklist of features before considering the right WP booking calendar. As you see, we are not going to list ticket or event booking plugins in this collection (by the way, we’ve already revised a huge list of the WordPress event scheduling plugins before, if that’s what you are looking for). 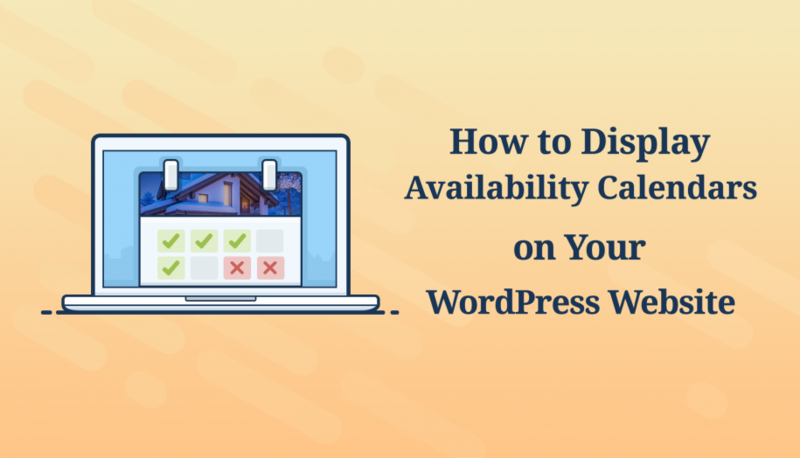 Although they also relate to WordPress booking software, they don’t deal directly / necessarily with availability calendars for booking business hours or dates, that is, available & unavailable slots. 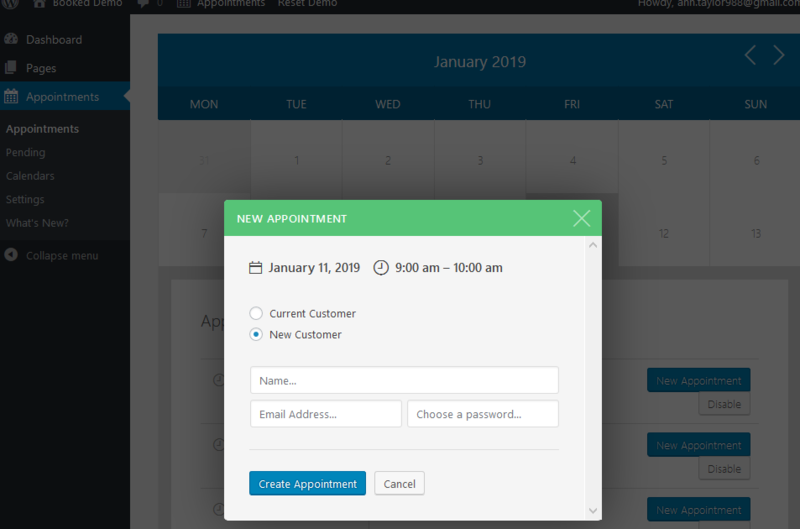 Moreover, some WordPress appointment booking plugins come with extra functionality to address advanced needs. For example, Group Booking add-on for Bookly WordPress appointment reservation plugin is pretty handy for tours, excursions or lessons. That means you can discover a lot of options within just one appointment plugin. Given that oftentimes businesses need to do more than just display the availability calendar, we’ve chosen popular multidimensional availability calendar WordPress plugins. In this walk-through, I’ll showcase best-in-class plugins for each category named at the beginning and, of course, try to highlight their main strengths. This is probably the category of the fiercest competition. You are spoiled for choice because there is a decent number of good solutions packaged with all manner of tools. But we won’t feature ALL of them to not bewilder you. In the effort to be unbiased and diverse, we’ve chosen the most downloaded free WordPress booking calendar, a highly popular premium solution we’ve used ourselves, a CodeCanyon bestseller and, finally, a straightforward plugin with the highest interaction with a Google Calendar. This is the most downloaded free WordPress booking calendar plugin that has been around since 2009. It’s main benefit (apart from a free version) is that it’s very straightforward and feature-rich at the same time. It’s positioning itself as a tool for both appointment and hotel bookings. A free version is a good fit for a personal booking website with a few bookable services. The plugin’s settings are thought-out quite well, with a bunch of handy video tutorial, allowing you to start easily and operate quickly. The plugin works for both hours and dates time slots, meaning you are free to enable multiple bookings during one day. Since the plugin supports iCal format, you can share your booking data with external calendars and platforms – for example, sync booking to your Google Calendar or even external travel agent marketplaces like HomeAway. The free version is limited in terms of booking management, payment gateways for online bookings, email notifications and more. The Pro versions offers a wide choice of plans tailored for businesses of different scale. The only thing that slightly damages reputation of this plugin, in my opinion, is a bit old-fashioned calendar designs. Add a dedicated service or property page and then insert a booking calendar into that page. The plugin comes with a custom Gutenberg block so that you can can customize its look before inserting into a page in a visual mode. 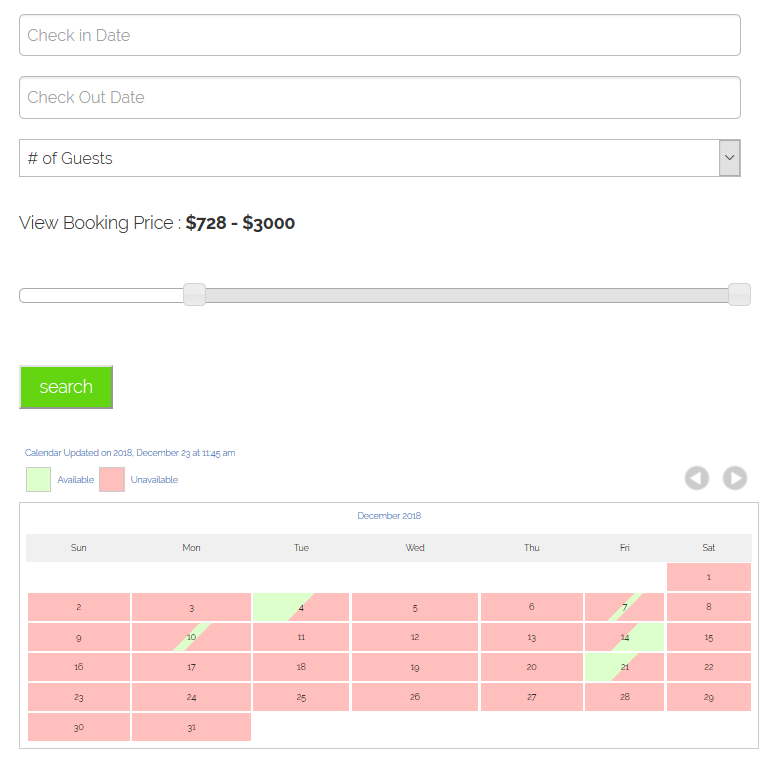 The availability calendar can be inserted with or without a booking form. You can display them in a post, page or widget. 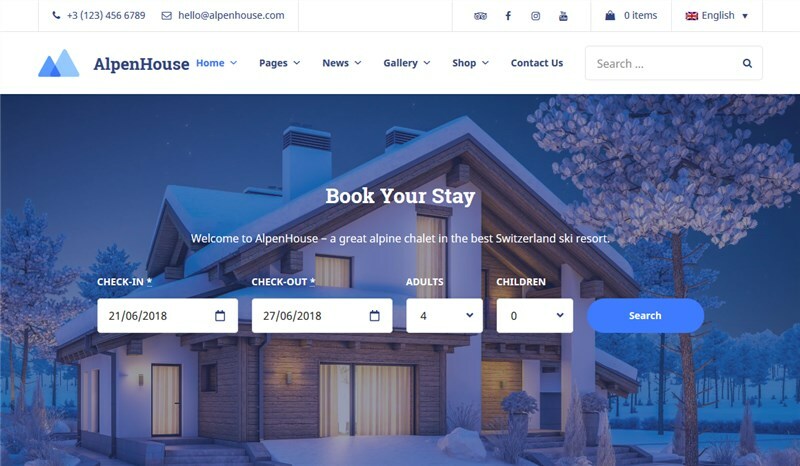 That means you can attach a calendar with a booking form to the already existing room or service that you’ve built with any WordPress theme or page builder. If you have a small appointment business and looking to manage appointments and process inquiries hands-off, this premium solution might be just that sweet spot. About a year ago, we tested it first-hand to make sure it would satisfy the needs of solopreneurs like hairdressers or makeup artists. As a result, it was included into the Entrepreneur WordPress theme (you get the plugin for free with this theme, by the way). The plugin is perfect for quick and simple bookings that can be set for custom time slots, not necessarily hours. 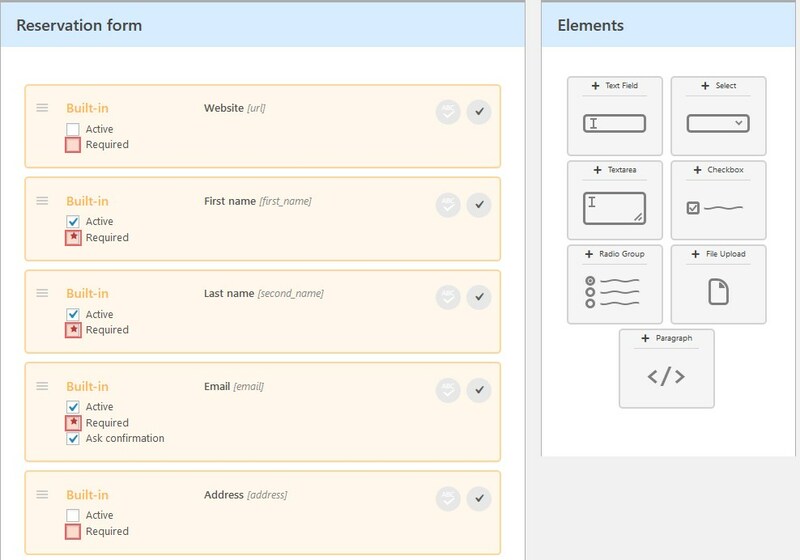 It comes with beautiful design skins, crisp look on mobile devices and an ability to add unlimited custom fields to collect necessary information. For the highest level of flexibility, appointment and cancellation buffer options are provided. Such an on-demand feature for many entrepreneurs as customer login area is also provided by Booked (as an alternative to a guest booking). Clients who make appointments through your WordPress website can view and manage their pending and approved appointments. You can also add appointments manually via dashboard. Thanks to WooCommerce integration, you can implement a variety of region-specific payment gateways to enable clients to pay via your website. Dashboard appointment management is very user-centered so it’s unlikely a steep learning curve will be required. 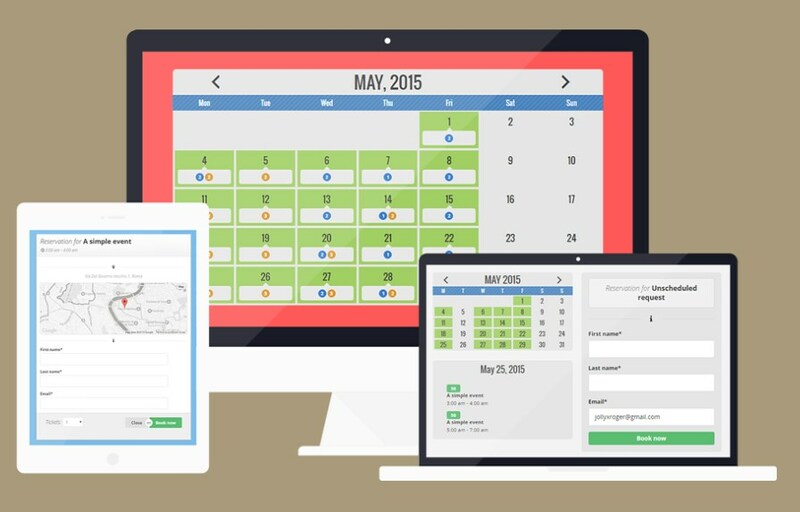 Booked allows you to create WordPress availability calendars for each service. That will help you display multiple calendars with their default time slots, custom time slots and custom fields, no matter days or times. You can create all your calendars via Appointments > Calendars – each of them comes with a unique ID, which you’ll need to include to the shortcode of the appropriate service page (just copy and paste it). That’s it! All booked and available days will be marked appropriately. You can use the plugin with your current WordPress theme. 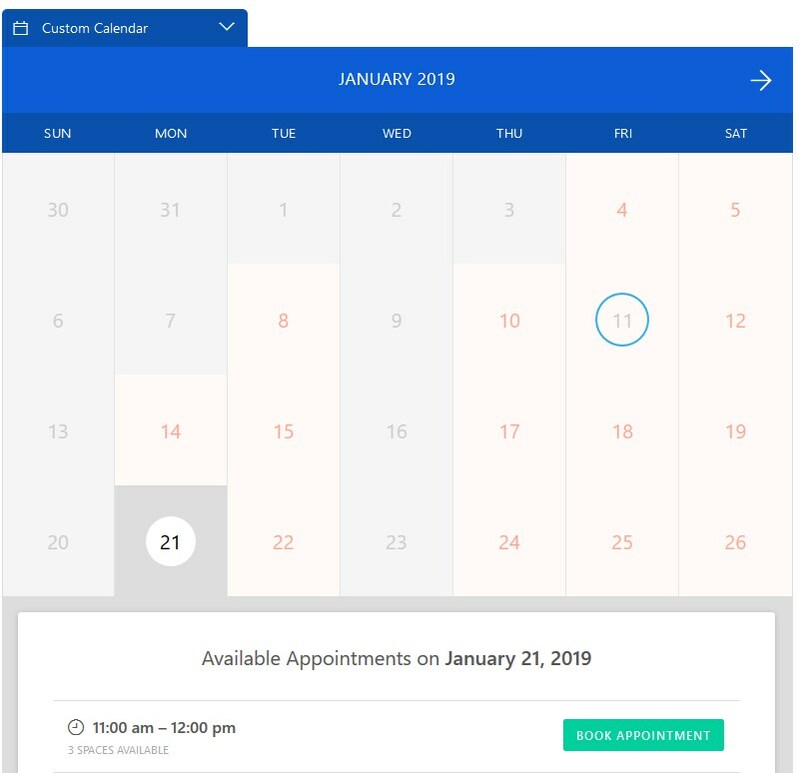 If you are looking for a flexible appointment availability calendar WordPress plugin with a deep Google Calendar connection, Team Booking claims to be just that suitable. It can come in sync with a Google Calendar and a WordPress website in terms of creating and adding bookable events. The plugin allows to feature unlimited services of three major types: single appointments, events with tickets and unscheduled services. You can set up custom duration for services. 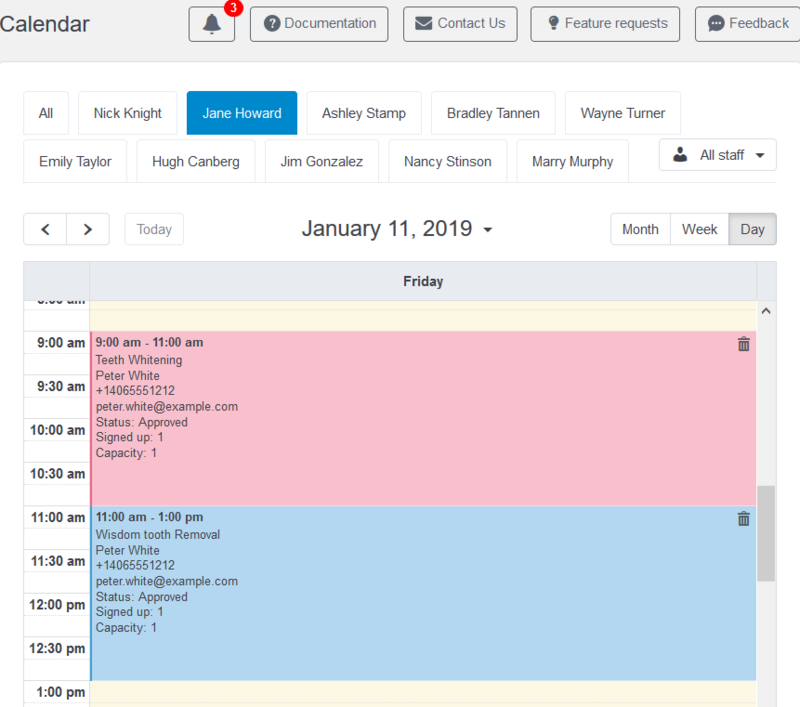 You’ll manage staff members / service providers (it’s called “team” for a reason) and free / booked slots via Google Calendar, and then sync your settings to the availability calendars listed on your WordPress website. Of course, there is also a reservation form you can implement with this plugin (you can add custom fields, data validation, etc.). By default, your clients can pay through the website via PayPal or Stripe. Customers are not required to have a Google calendar to book a slot. It’s worth mentioning that it’s a great pleasure to work with the plugin – the tools are clearly systemized and well-explained. 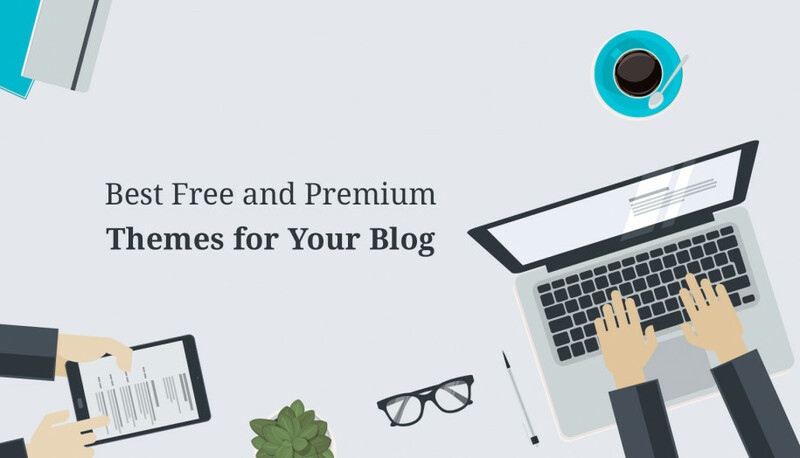 This is an excellent feature WordPress newbies will enjoy. Since you are creating service-dependent reservation WordPress forms with this plugin, you can give each a custom configuration. In order to gain access to a Google Calendar and use its data, you’ll need to get the Google APIs, so your task is to create a Google Project and hook it up to your WordPress website via Team Booking (you’ll be provided with a great step-by-step guide). Then create all needed services and optionally assign multiple service providers (sellers) to enable them to create availability calendars, accept and manage appointments by themselves. Finally, add calendars or reservation forms to a page, post or widget with shortcodes (a great flexibility is offered to how you can combine and customize them). 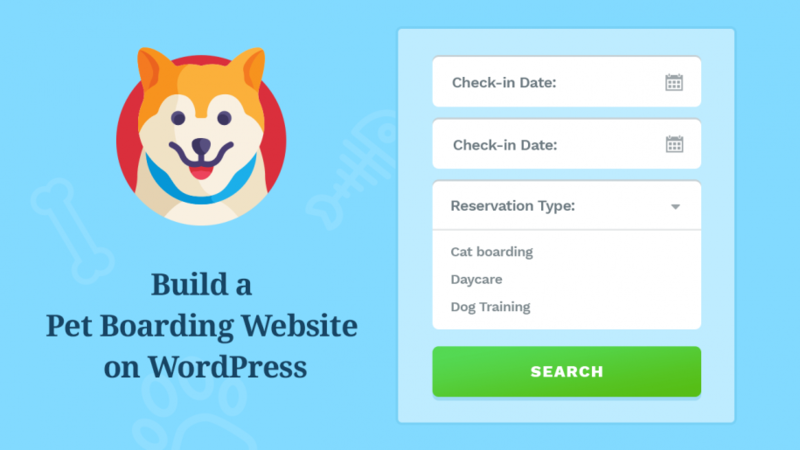 Bookly holds the WordPress stage of appointment reservation for one simple reason: it offers a hugely deep level of flexibility for different cases and loads of features and paid add-ons. At the same time, it’s straightforward throughout frontend and backend tools. The plugin is used by thousands of people and it’s hard to find a solution that can measure up. Bookly makes it easy to add multiple service providers, each with their own appointment booking calendar. If you’ve been looking for multi-vendor appointment booking solution for teams or business chains, it can fulfill that functions of a directory. 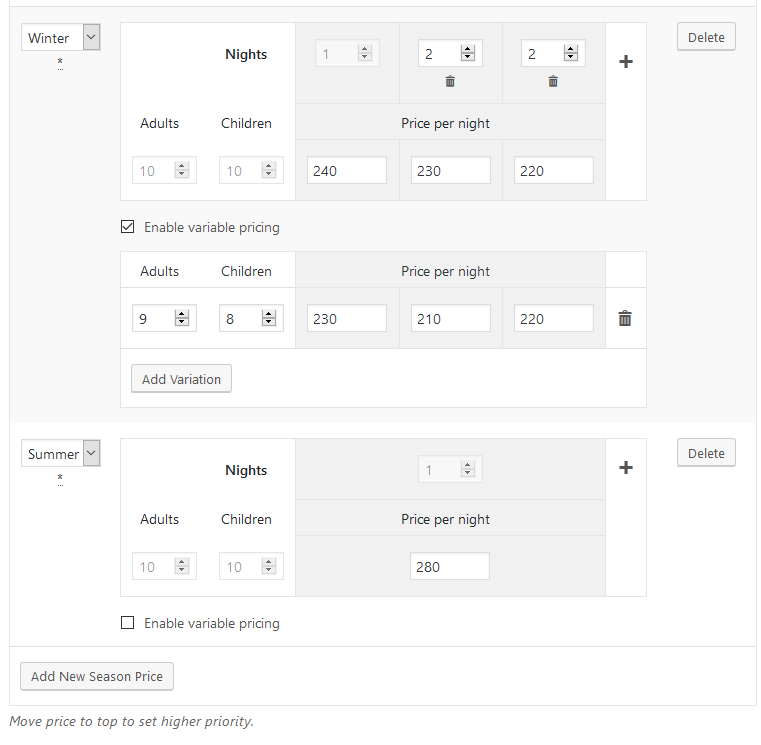 You can easily adjust calendars: designate a custom duration of time slots available for booking (padding time available), set up appointment limits, integrate multiple payment systems to handle online bookings, including by means of WooCommerce (in addition to full price, you can charge deposit or take cash on arrival), assign staff members, and more. For better interaction with clients, Bookly supports SMS and email notifications, so you can can set client reminders on autopilot. To sync bookings across different calendars, you can connect Bookly to external services like Google Calendar. If you are unsure whether Bookly is the right tool for you, you can check out their Help Center FAQ section with multiple custom scenarios explained. Overall, it’ll definitely pay off to invest into such a holistic and reliable solution. The process is very easy! You need to add all services with their custom settings and assign service providers to them first. As you see, you can’t just attach the plugin to the services you might have already listed; the plugin doesn’t just deliver the availability calendar, it sets you up with all goal-directed tools under one roof. After all key settings are in place, you can display the calendar on the frontend using a user-friendly shortcode generator (for those in Classic editor). I hope they’ll introduce Gutenberg editor integration anytime soon. In this category, let’s take a closer look at three plugins: a free availability calendar for properties, a plain VR (vacation rental) calendar that is flexible enough to be implemented into your up-and-running website and the all-in-one rental property booking system with the availability calendars. This is a spot-on solution for those who need a full-blown property reservation system – from adding and managing properties to taking reservations. 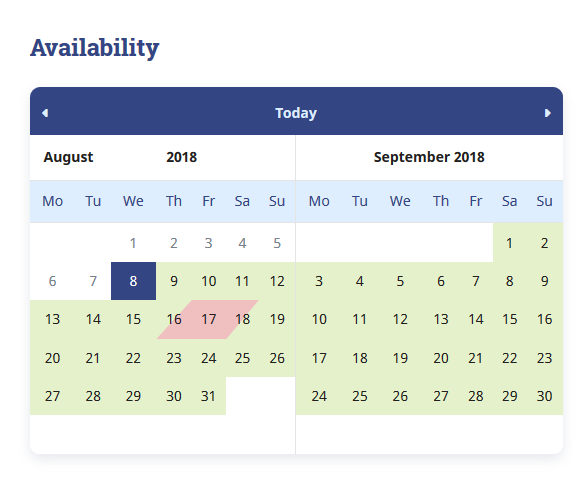 As you might guess, availability calendar is just one piece of the pie. MotoPress WordPress Hotel Booking plugin is optimized to function as an all-around property or hotel management WordPress software. It allows you to add rental units with details and images, set up seasonal pricing and flexible rates based on different conditions (e.g. a number of renters, the time they spent in, etc. ), store all bookings data, sell extras, request balance due and get use of more tools crafted with the lodging business in mind. It’s also easy to take online reservations via any suitable payment gateway. You can experience all these features first-hand for free in a personal trial account. Availability calendars, which are generated automatically for each property, show up-to-date availability information in real time. You can connect them to OTAs by exchanging iCal URLs to avoid double bookings and show all available dates properly. In a nutshell, it’s a great 360-degree solution for taking care of a small hotel, vacation rental or other type of a lodging business, without a need to connect multiple plugins and tools. The plugin is translated into multiple languages and is ready to be turned multilingual by means of WPML plugin. The calendar is generated automatically for each property you add via Accommodation menu; you can also add it manually (with a specific property ID) to any page or post. This plugin lets you get unchained from the PMS or reservation software itself, so it’s rather a utility that can be attached to your live hotel booking or rental property website, no matter how it was built. The foremost aim of this plugin is to help you connect bookings submitted on the third-party marketplaces in order to sync those with your brand website bookings. Basically, it empowers a two-way sync to display available / unavailable days on your website with the third-party (HomeAway, Airbnb, etc.) booking data taken into consideration. 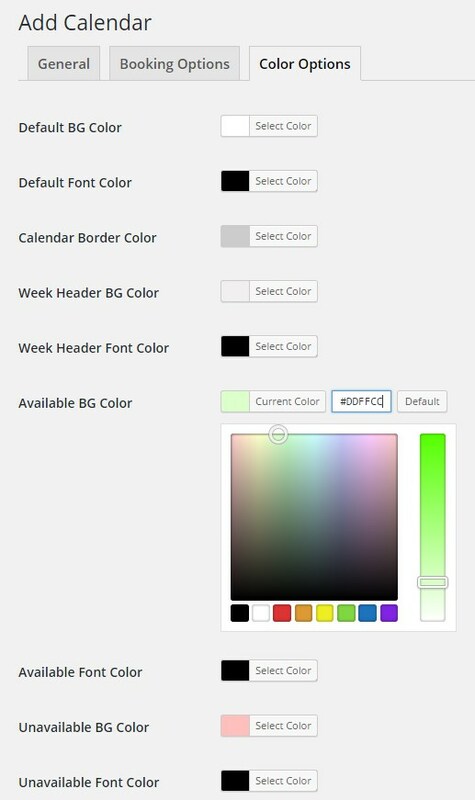 The look and feel of the calendar is fully customizable. To make a calendar public, you should simply add and customize the calendar itself, generate a calendar shortcode and paste it into the appropriate property page. There is also a separate section to configure iCal synchronization settings. The prospective renter will see the available days in your calendar on the website. 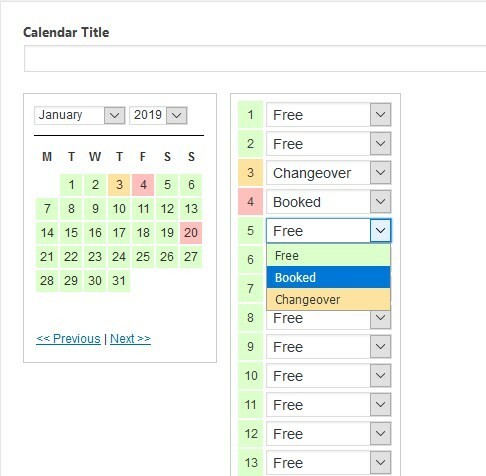 This is a popular free (freemium, to be more precise) plugin for displaying WordPress availability calendars for spaces of different kind (holiday homes, cabins, hotels, etc). It comes with quite straightforward and easy-to-set up settings so that you can reach one aim: display availability of your property. It’s a proper solution if you want to take reservations “offline” (over the phone, via email) and then register them manually via backend. 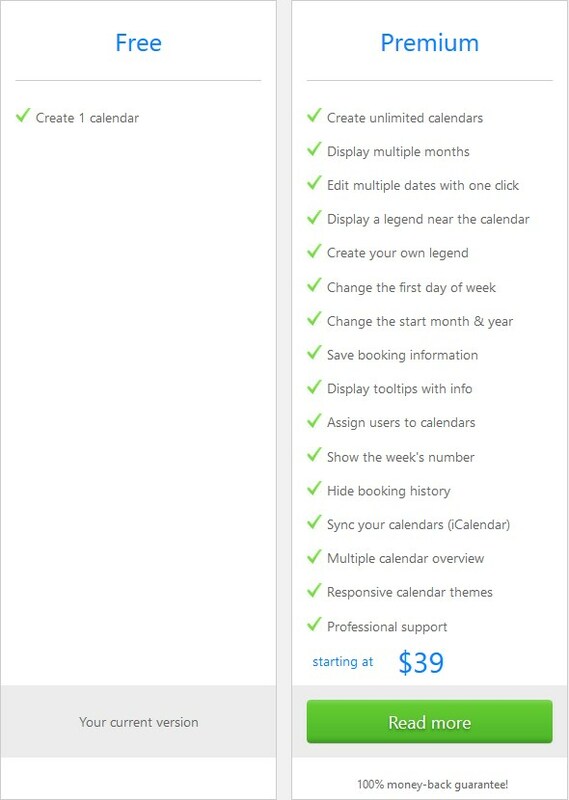 A free version supports just one calendar, while with Pro you get much more features. 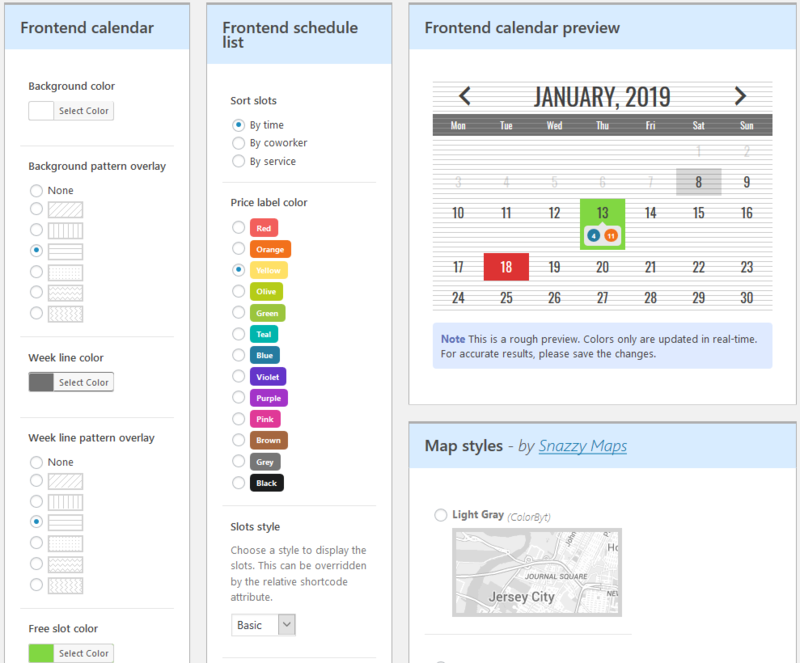 For example, there is a nice customization toolkit letting you change calendar colors, shape, legend and more to showcase clean-looking calendars. By exchanging iCal scheduling data (events), you’ll have no troubles setting up connection with third-party property marketplaces like VRBO (Pro feature). Once you created a new calendar within the plugin, you can add it to the needed property page and modify the rest of the settings via shortcode generator (works in TinyMCE; requires Gutenberg integration so far). You can use this plugin easily with your current WordPress installation. So did we manage to save you some time? Have you figured out the best WordPress availability calendar plugin for your website? If you have any questions, don’t hesitate to ask. If you’ve got any experience, don’t leave us in the dark and share it.